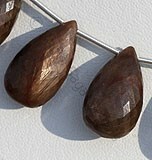 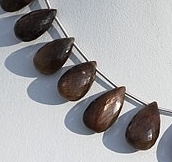 Experience the divine power of our Flat Pear Briolette gemstone beads and active your body chakras. 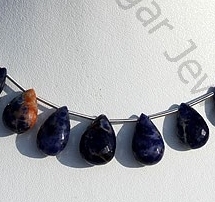 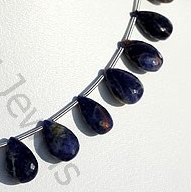 Wearing our untreated gemstone beads can impede the negativity in your mind and dispel misfortune and bad luck. 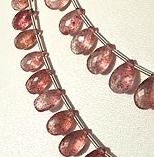 Our lab tested and AAA certified gemstone beads are now available in vivid colors, such as dark blue, dark pink-green, deep-red, light pink and golden are famous for brilliant cuts and unparalleled designs. 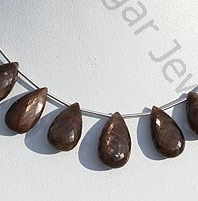 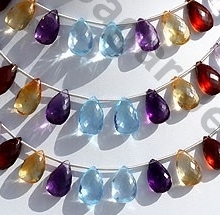 Select an unmatched Flat Pear Briolette shaped precious and semi-precious gemstone beads from our online gallery, including Golden Moonstone, Sodalite Gemstone, Strawberry Quartz gemstone beads. 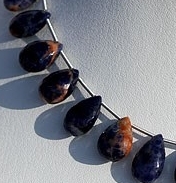 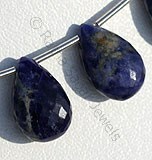 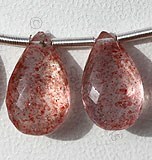 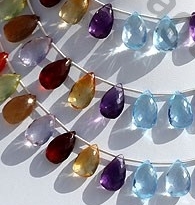 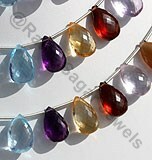 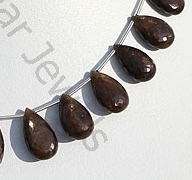 We assure our clients the best quality and breath-taking price for all our gemstone bead products. 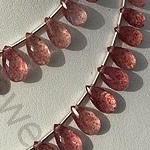 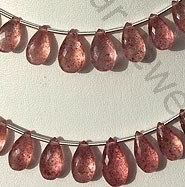 Natural Strawberry Quartz possess property of transparent and are available in clear quartz with pink crystals in micro cut, Flat Pear Shape. 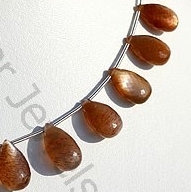 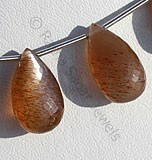 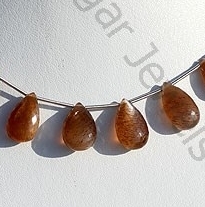 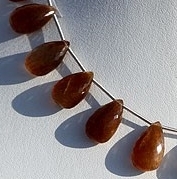 Natural Golden Moonstone translucent and are available in golden color with silky sheen with micro cut, Flat Pear shape. 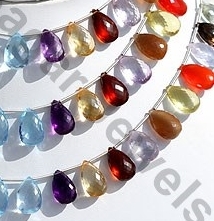 Semiprecious Gemstone possess property of crystal clear like Blue Topaz, Amethyst, Green Amethyst, Pink Amethyst, Citrine, Smoky Quartz, Rose Quartz, Lemon Quartz, Carnelian, Honey quartz, Crystal in micro cut, Flat Pear shape.